Travelling to India soon and need to be connected to friends, family and fellow travellers? You will need a sim card to use in india. Not to scare you, but getting a sim card in india can be quite an experience. Read for yourself! Trying to find the cheapest SIM card in India, with a good data plan, and the one that works with your unlocked phone and provides mobile wifi, can be absolutely exhausting with so many options available even when the SIM card price in India is mostly affordable. Before you make a choice, read below as we answer the most frequently asked questions by foreigners travelling to India. Will my Mobile Phone Work in India? Your phone may not work in India with any of the local sim cards unless it is unlocked. In most of the parts of the world, mobile phones are locked to their telecom carriers and only they (your telecom carrier) can unlock the phones for you. 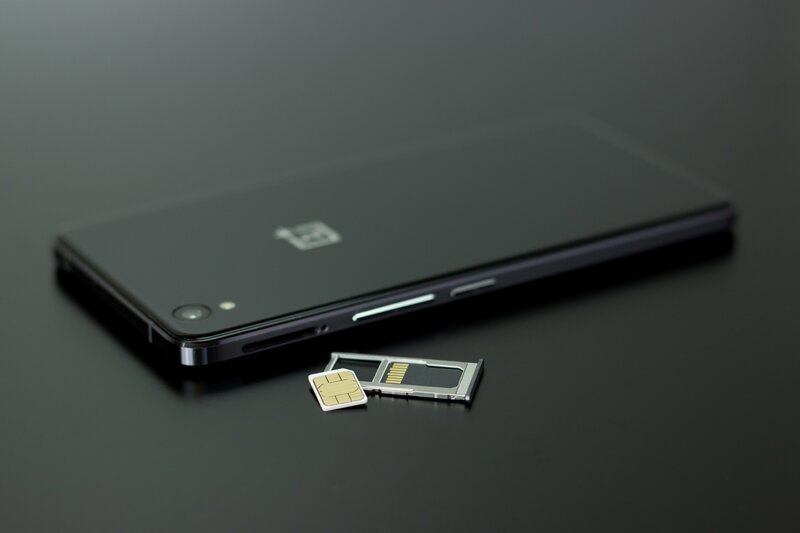 You will not be able to insert another sim or use it with another carrier unless you pass their criteria of getting the phone unlocked and then go through the procedure which can take time and may cost you money of you get it done privately. So, if you are asking ‘Are all iPhones unlocked’ or ‘Can you unlock and iPhone 7 or iPhone 6s’? Yes, you can and should get them unlocked or check if they are unlocked from your native service provider before you arrive in India. Your phone may also not work, even if unlocked unless the GSM bandwidth of your phone is compatible. Therefore, one needs to identify their home GSM bands and compare it with India’s for a functional phone. 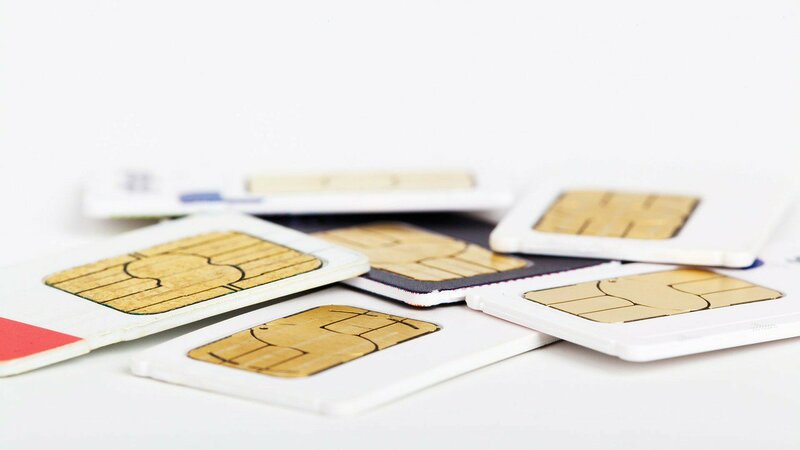 Here are two types of SIM cards available in India to help you narrow down the choices. A postpaid SIM Card is the one where you are billed after having used the services like calling, data, texting. Postpaid plans cost more than prepaid plans generally. Your billing details are given to you in the end. The bill is usually sent to you at the end of a month long cycle.This works out well for residents and not available for foreign travellers. A prepaid sim card in india for foreigners or a pay as you go sim india is where you pay before hand to avail services like calling, data, texting. The plans on this one are comparatively cheaper. Most Indians use Prepaid sim cards. This works out better for foreigners as well. However, there are some downsides of getting a prepaid sim card. It needs constant topping up. You will get unwanted SMSs because the service provide does not differentiate between an Indian resident and a tourist. So, you need to register your number for DND, which for a shorter stay may not work out. Also, for indians the activation of SIM card is almost immediate based on their unique identity number called Aadhar. But for foreigners the activations takes a long time. In some cases even about 2-3 days. The most commonly used service providers in India are Airtel, Vodafone, Reliance, Idea, Jio and BSNL (the only government run telecom service). Out of these, Airtel, Vodafone, Jio and BSNL work well in most cities. How can a foreigner get a SIM card in India? Due to security reasons, getting a travel SIM card or an international sim card in India requires foreign tourists to furnish a lot of documents (Passport, Photographs, Indian Visa, Local Address Documents, Home Address Proof and sometimes more, all in originals and photocopies) and there are many steps involved. These steps also might differ a little from state to state. Here’s what you have to do! First, decide on the company. There are a lot of service providers but each service provider’s service changes with change in location. The coverage may or may not stay efficient throughout the country. The rates and offerings keep changing hence we cannot suggest which service provider to go for. But we can prepare you for the process of getting a SIM card in India. It is not necessary that you will have a local reference but you will need one because your local reference will get a call from the network provider within 24 hours of submitting the documents. It is possible that only one phone call is made to the local reference and in case they miss that call, you may have to wait for a day or so get the call again. It is also possible that you may have to repeat the entire documentation process with a different number as your application may be rejected and then you’ll have to wait for another two days. Once the network has called your local reference and your phone becomes active, it should display a signal. You then need to call the activation number (59059) from your phone and confirm the name and address details as provided at the time of applying for your SIM card at the new SIM card price. Within 15 hours of your details being successfully verified, your SIM card should be active. Now you will have to go back to the shop and top up or recharge your phone with the data and voice plans that you desire. Make sure that you are in the same area in which you bought the SIM card for the activation to go through. For instance, if you bought the SIM card in Delhi, you cannot complete the activation if you have travelled outside of Delhi. It has to be done within the same area it was issued. Traveling around India, outside your circle of Indian SIM card issue, you will generally be considered to pay for ‘cell roaming’. 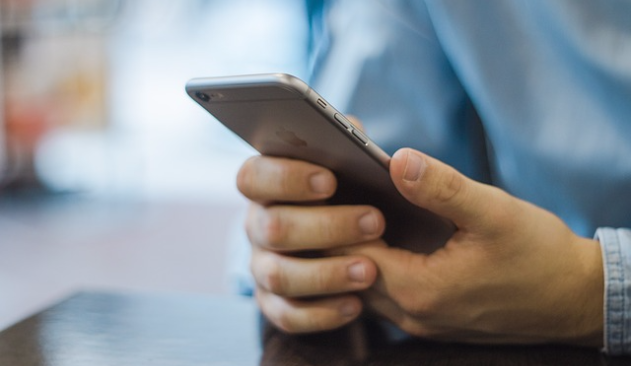 You should still be able to use your phone, but making and receiving calls will be more expensive because of roaming fees which includes mobile roaming charges as well as data roaming charges. Ask the sales executive at your sim card provider in India to help you pick out the plan that suits you the best. How can one get the Free BSNL Tourist SIM Card in India? Unfortunately, the free sim card in india for foreigners that BSNL used to provide, has now been discontinued. There is no such free sim card India that you can avail and we warn you to be careful from such fraudulent claims. It was offered with Indian e-visa earlier but has been discontinued now for a very long time. So if you were hoping to get this, you need to look up for a different option. As of October 2018, a new method of verification called ‘e-KYC’ was made available to foreign tourists trying to buy a sim card. Read more about e-KYC here. Evidently, getting a SIM Card to use in India is not as easy getting one in other countries like USA, Singapore, UK, Germany or France and in fact be cumbersome process. And that’s why, an alternative to this makes a lot of sense! Here’s what this life saving substitute looks like. Trabug offers a smartphone and a wifi device powered by a 4G data connection. Both the devices are available to foreigners travelling to India on a rental basis. Trabug is designed by and for travellers. It is for anyone visiting India. Whether you are travelling for business, leisure or to meet family and friends, Trabug provides a hassle free experience of staying connected in a foreign country. You can rent a full smartphone with a functional 4G sim at a rental price of per day which would be hassle free as you don’t have to buy a new use and throw phone and a separate SIM card and can avoid those costs completely. The plans offered on the phone can be viewed on the site. There’s a good variety to choose from but not too much to confuse you either. International roaming costs for other service providers are generally high whereas the international roaming costs are almost even less than $4 a day for people who stay for longer durations. Therefore, Trabug definitely saves you both time and money and gives a lot more than just a temporary mobile number India. Your personal phone may not work while in India because the GSM band might not be not compatible or you might be locked to your home network. So, to have a working phone in India, one may need to buy a new Indian cell phone which would cost a few hundred dollars. Trabug saves you that big amount as it is a rental service and you pay a nominal amount only. The phone is pretty attractive with its 5-inch high-resolution screen and comes in lovely packaging. The battery is pretty long lasting which too, is honestly a life saver. The mobile phone rental is charged on per day basis. The phone is delivered at your hotel/hostel and is picked up from whatever place you leave it at. For e.g. It can be ordered in Delhi and left for return at Mumbai. 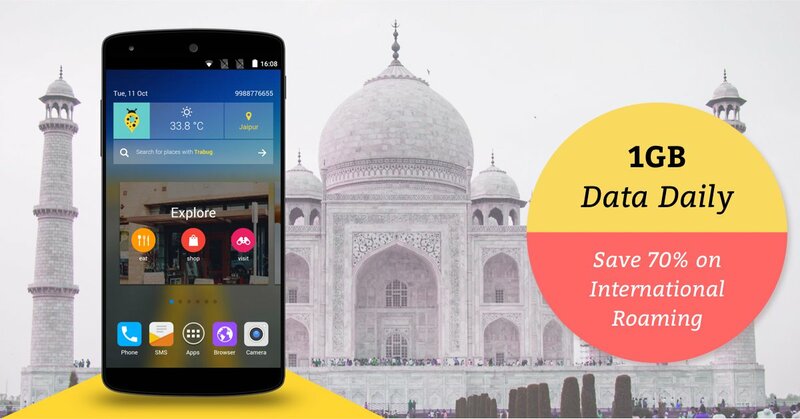 The phone comes with reliable information about places to visit, eat, stay at, it is like a guide to new places. It can be used to book a cab with a preinstalled Uber/Ola app. 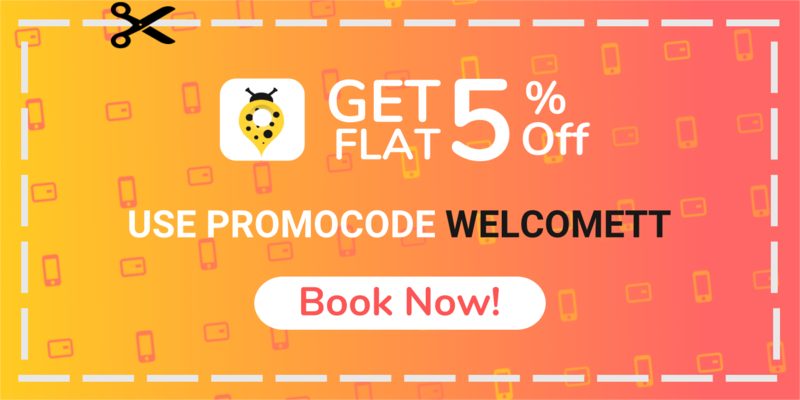 The internet plans too are amazing as while booking a cab or going through the social media apps (Facebook, Twitter, Instagram, YouTube, WhatsApp, Skype, IRCTC App, Google Maps, all come preinstalled), there’s hardly any lag. One can create a hotspot from the Trabug phone and connect as many as 5 devices. So, no internet hassles for the iPad or the laptop or a personal phone. The phone is very helpful with the audio tour and currency exchange services too. One can even use personal services on the phone without getting concerned as you get to checkout and wipe off all the personal data once you are ready to return it. Most importantly, one can access the emergency information about police, hospitals, embassies, based on location anytime anywhere. How To get Wifi In India? Now, if you ask, is there Wifi in India? Yes. But is it everywhere? No. In India, there are a lot of cafes & restaurants which offer free wifi but the OTP or One Time Password to activate these Wifis is sent to your Indian Sim Card. No Sim card therefore also implies no OTP and hence no internet! Most cities in India also unfortunately, do not have free wifi zones.Therefore to use internet; you remain confined to your hotel rooms or airports that is if they also do not have the Indian OTP system. 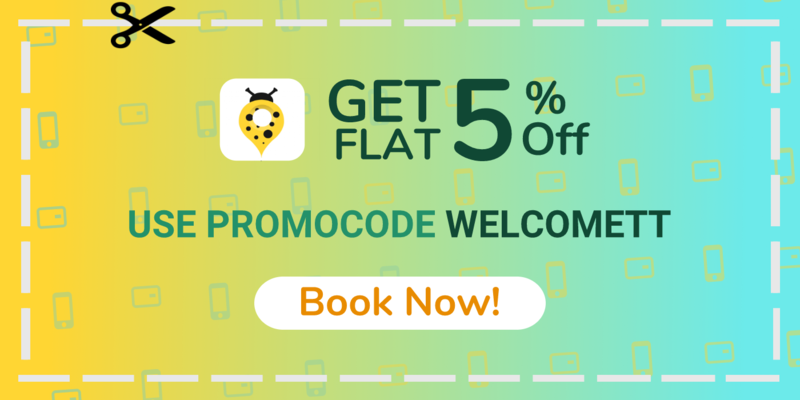 Therefore, along with a rental mobile phone, you might want to consider a mobile wifi rental in India. This is a small convenient pocket sized device to be used as a portable wifi device in India and that you can rent on per day basis. The device gives you access to high speed internet (4G) and lets you connect upto 10 devices. It is handy and lasts upto 6 hours after 1 full charge. It can be charged again using a regular USB android cord. It comes with a companion app. Hotspot connectivity upto 5 devices on the phone and 10 on the pocket wifi.